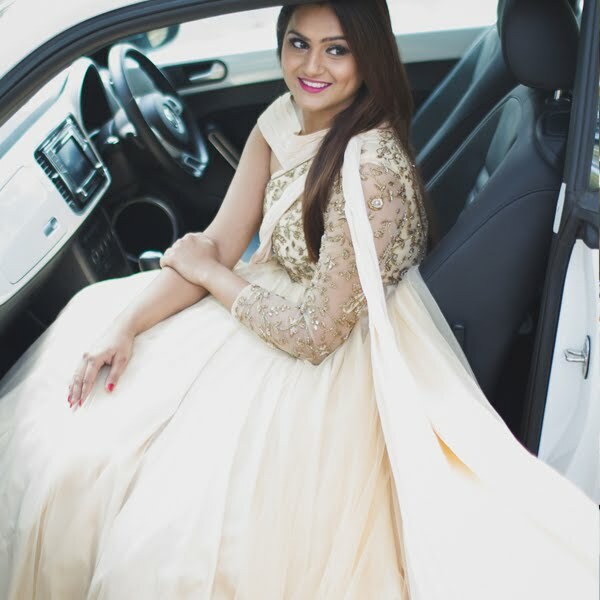 This year women's day turned out to be special in so many ways courtesy Ariel India. For a brand that has always stood for progressive thinking and inclusion in today's time, Ariel ensured to celebrate womanhood by reminding us all that men in our lives can help, participate and contribute to our efforts of the women and play a significant role in household chores by simply sharing the load. Ariel planned a special event at Select City Walk Mall, Delhi and invited us to bring along the Superwoman in our lives, which in my case happened to be my mother! The event saw TV celebrity Ravi Dubey along with his Mother & Wife, Sargun Mehta sharing their thoughts on collaborative household duties and why #ShareTheLoad is an everyday phenomenon for the couple! 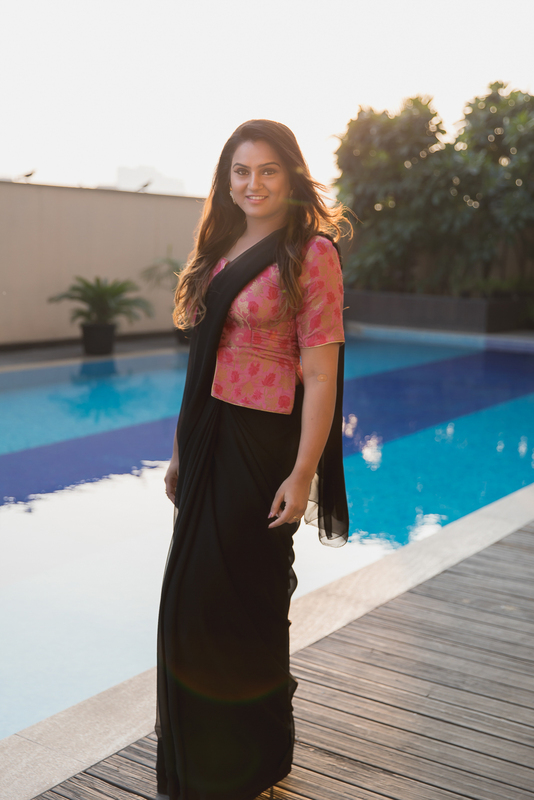 Sargun was gushing how her husband Ravi takes charge of their morning coffee and is quick to help when it comes to cleaning the house as well. Ravi, on the other hand, lauded his mother who taught him all the household chores including regular laundry from the start! It was absolutely delightful to hear their mother talk about sons being responsible at homes than just being busy pursuing one's career. Our women's day celebration continued with this impactful message and next, we headed to the PVR Cinemas to watch the exclusive screening of the film Captain Marvel! The film is firing girl power on all cylinders. Loved how on women's day, we finally got a long overdue female superhero on screen. I had such a great time with my mother by my side as we celebrated the essence of womanhood with Ariel. Fortunately for me, my father and now my husband both ensure to take up home duties and #sharetheload timely! As for us women, I feel that we must teach our sons, sons-in-law, brothers to address the issue of Gender Inequality within households to make a greater impact in society! You can read more about this movement here. Celebrating #ShareTheLoad Movement With Ariel On Women’s Day! This year happens to be my first holi without my husband at our home, the festival that we both have truly treasured always! The thought is unnerving and yet very sentimental because being an Army wife comes with its own set of responsibilities and dues. 2 years into the marriage and even though my better half has tried to hold the family together by being present for most of our festivities, there were days when we celebrated our big milestones over phone calls, video chats, and letters! An ode to all the beautiful festival memories we have made together, I have decided to celebrate this Holi, the Mother Dairy Way! In case you are home away from home this holi, or can't play with your loved ones or are shying away from getting messy because 'ab hum bade ho gaye hain', then it's time to do an #InstaPichkari with Mother Dairy! My most favourite milk brand has launched a social media activity that allows you to show your fun holi spirit to your friends on Instagram by simply uploading your photographs and using the brush tool to smear colour all over your photo! While you do this, make sure to use the hashtag #InstaPichkari and tag @Motherdairy for a re-post! 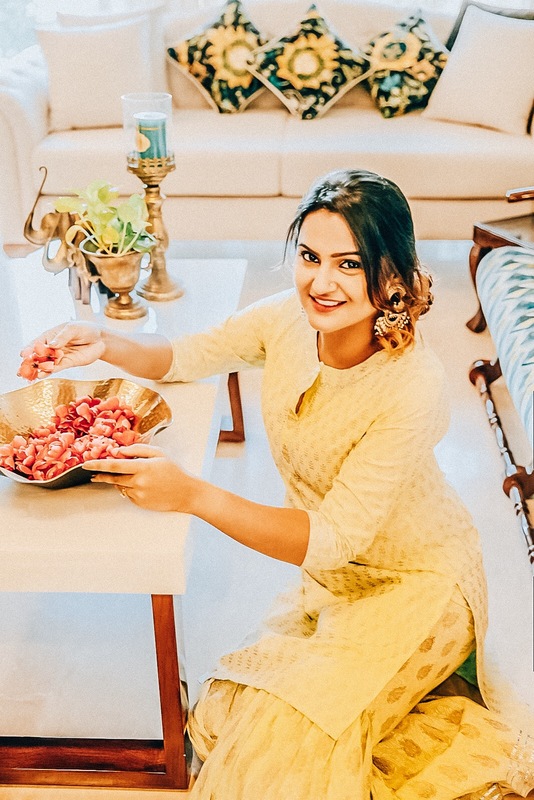 This year, like all the previous years- our family has come together to make sweet and savory gujiyas at home including the milk thandai for the big day. 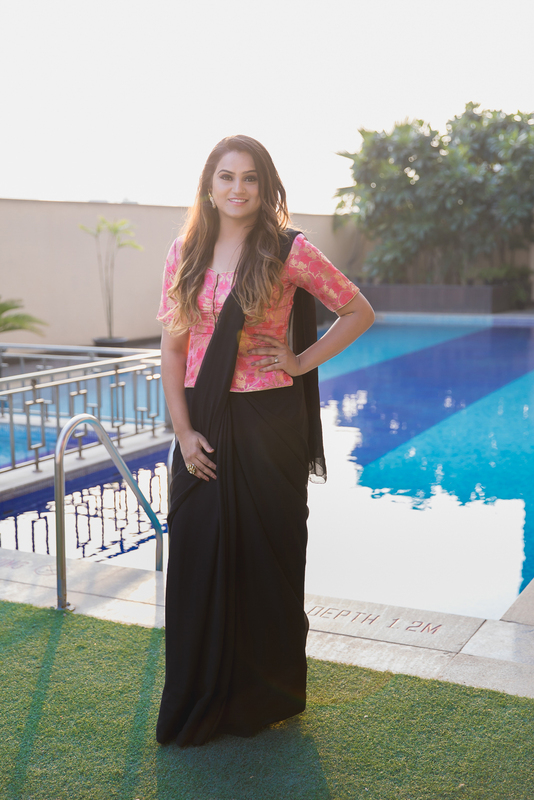 So when I learned about the Mother Dairy Holi campaign, #InstaPichkari, I couldn’t be more thrilled! 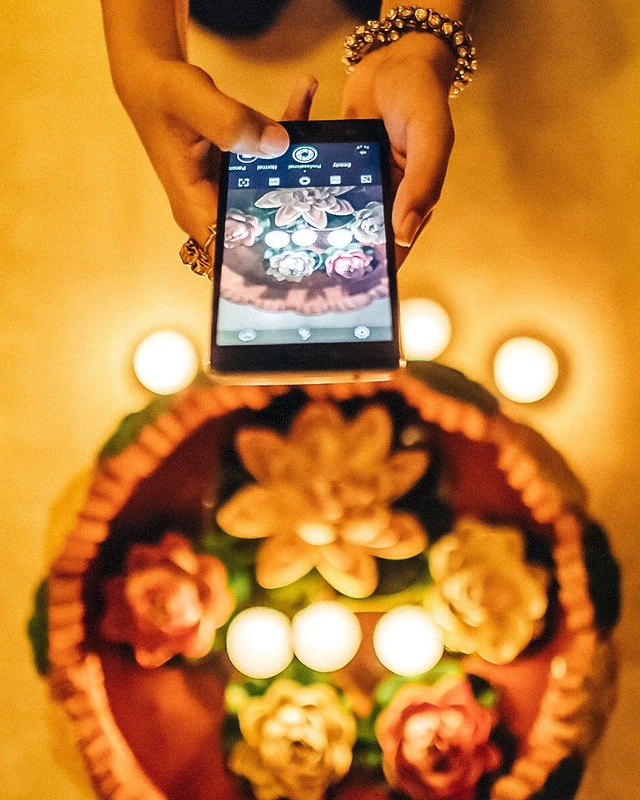 From packing his favorite sweets and the homemade thandai mix, I am steeping up the game by sending him an #InstaPichkari selfie as a fun yet quirky wish this holi. 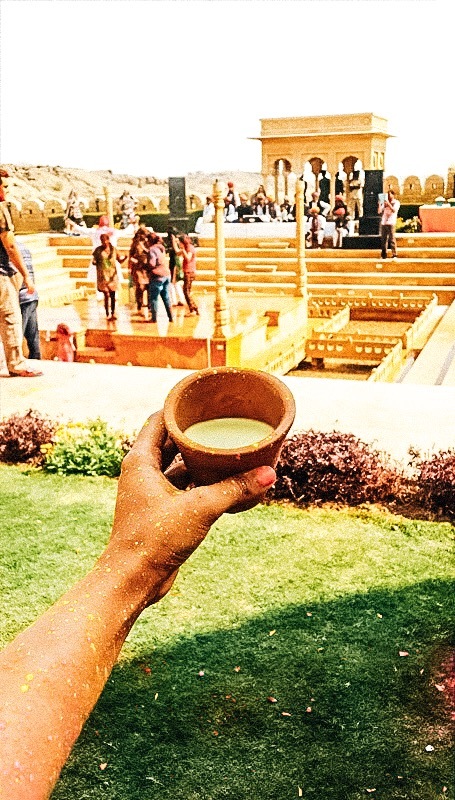 I honestly don't think that there is any 'appropriate' age to play holi, smear colour all over or to drink yummy milk thandai!Because I see the older lot shying away from all the festive chaos, make sure to shed all your inhibitions and dance away in the colourful spirit of holi! Ring in the festival of colours with an aromatic glass of Mother Dairy wali milk thandai, reminiscent of creamy milk, sweet-scented spices and dry fruits! 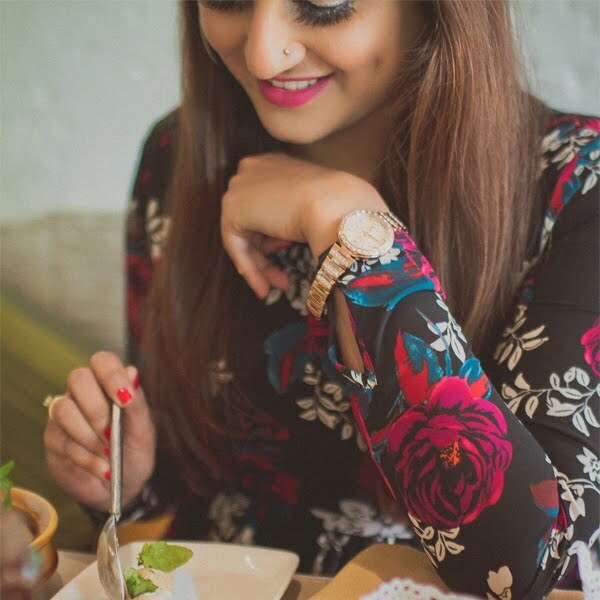 Also, do not forget to post your #instaPichkari selfies on Instagram and share it with me and @motherdairy. Have a safe and beautiful festivities! 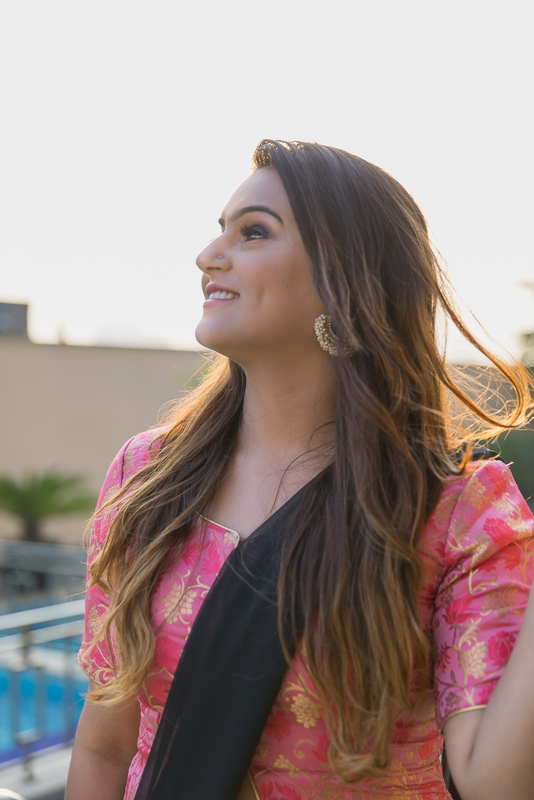 Celebrating ‘A Long Distance Wali’ Holi With Mother Dairy! Each year, I am always thinking about the kind of post that I want to draft and share amidst all the highs and lows as we approach the new year. 2018 was a year of retrospection, a year to take it slow, a year to re-set new goals and ambitions in life, a year to look after my pending health issues and finally, a year to be a better (Family) person. I know that the last part of my sentence can sound a bit confusing, but in reality, this was one area I struggled to cope up with the most. Whether it was making time to call up my parents in my very busy life or speaking to my childhood bestie (which wasn't more than 8-10 odd times this year) or taking up 'at home' responsibilities a lot more seriously. I intended to be a better person, making time to do things at home with a lot more passion indulge in forgotten hobbies, doing daily yet understated routines better and making time for exercising at least 3-4 times in a week without fail. 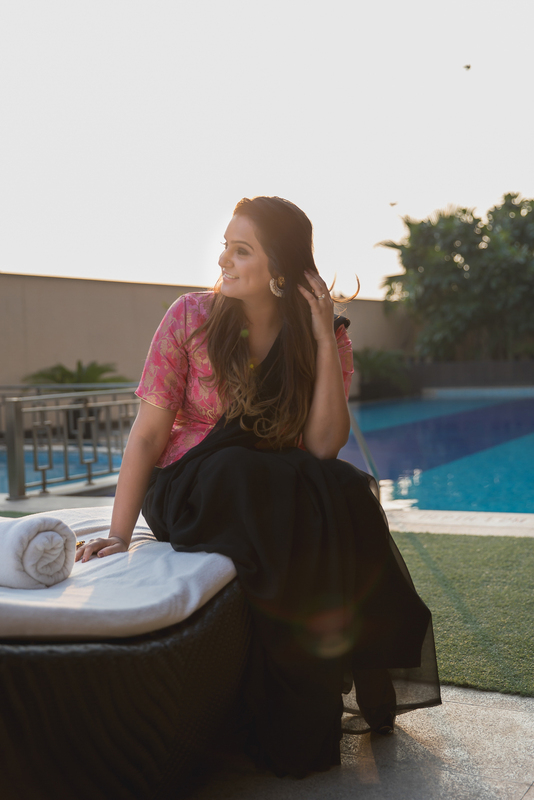 Blogging as an industry, as a business has changed completely in 2018 and even though I am one of the first gen bloggers, I find it quite difficult to cope up with the virtual life with all the craziness that I have in my real life. 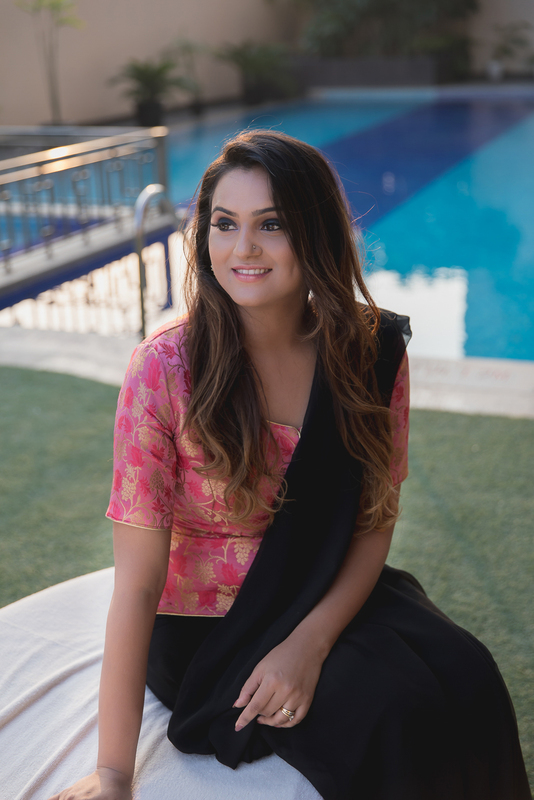 If you have read my post on how to make money by blogging in India, or how much money I earn by blogging then you'll know that in today's age time, personal development is being compromised to live an 'Instagram' perfect life and I am guilty of doing the same. 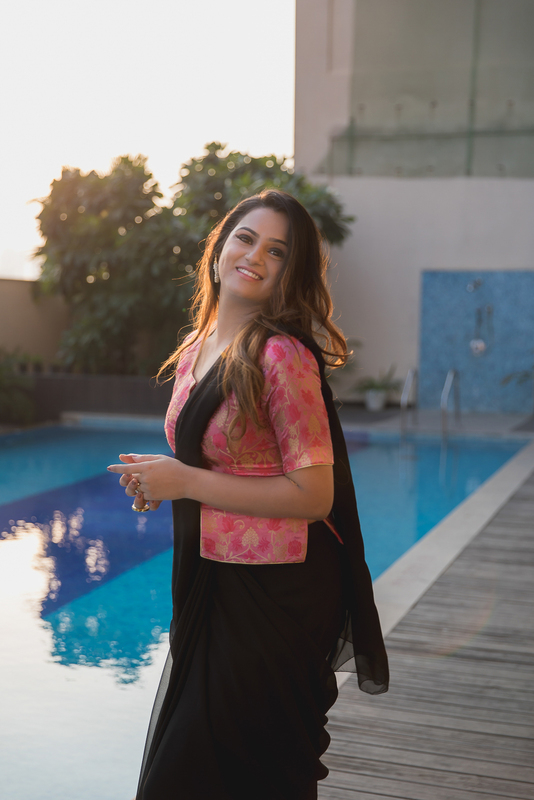 Having said that, if you are a married (to someone who doesn't even close to your profession), have things-to-do (home edition and not personal skincare list), have compromised your health to some extent or have wandered aimlessly on your mobile apps (for hours) this year, then this the post for you! 1. Keep NO excuses to spend time with family, your parents or chilling with your siblings. Call and let people know that you miss being with them even if you are a part of 100 WhatsApp family groups, chat groups or more. Note to self: Begin to remember birthdays and make sure to call everyone I can in 2019. 3. Read, Play, Paint, Dance, Cycle, Join a baking short course, learn the art of making chocolates, pick up continental food classes or teach. Pursue hobbies that have been buried deep down inside a grave ever since you picked up your job. Note to self: Finish reading Harry Potter Series in Jan-Feb 2019. I already feel judged to share this- but I haven't read any book after the first one and only saw films, the Harry Potter studio in London to know things in details. 4. Don't travel for Instagram perfect photos. It's important to travel, live your experience, learn about a place you visit and still not have perfect Instagram photos. The business of 'influencing' is only effective when your experiences make people opt for that very thing that you used or endorsed. Branded travels are a different game altogether but when you are traveling with family or your loved ones on a non-sponsored journey than try not to fall for perfect photos. It will save you time and help you see places from a different perspective. I made it a point to share a few peels of all the travels I undertook in the second half of the year and it just made me happier! Note to self: keep continuing with posting-less-photos-while-traveling to make most of a trip! 5. It's OKAY to change your goals and ambitions in life as you grow old. There's no harm in developing an idea with utmost passion while you are continuing with your present journey. For bloggers, Goals, ambitions will change and Moreover, the lives of your readers will also change. Ambitious people are goal oriented and are always striving towards the next milestone. Don't feel too bad if your current project doesn't excite you anymore- you can always change your job, your work profile, your travel plans, your business ideas, your content feed on Instagram et al. Your ambitions also control your quality vs quantity parameter- For say, I don't believe in anyone on social media who gets excited about EVERY new product launch in the market and then goes all ga-ga about it on their social media, this is also a reason why you'll notice me cutting down on so many product collabs from same product category on my blog. For a long time I resisted this change but after 7 years of blogging, and many small projects in between- here I am with Weddingbytes.in. A label that I have co-created with my most passionate team to bring to you guys wedding basics and ethnic Indian wear at great price points! Note to self: Master the art of balancing between projects and go all out with weddingbytes in 2019. 6. Avoid the trap of comparing yourself to others. I have been guilty of doing this and have felt disappointed at times on not working with some brands or how some influencers were getting to do so much whereas I was struggling with time...Over the due course I have come to terms with the fact that you should measure your success with how much you are able to stretch yourself, cross your own limits. Setting goals and working towards them with passion and focus will help you achieve everything and at the same time appreciate other's success genuinely. 7. Practice manifestation for positive thoughts will attract positive outcomes. I am pretty new at this but my mom's surgery post-Diwali this year and a few other life touching incidents have assured my faith in the power of manifestation. You can begin with a gratitude journal or meditate your desires or begin with simply visualizing what and how the outcome will make you feel like to attract all positive vibrations. This is science and if you find doing this tough then believe in the powers of prayers and pray atleast once in 24 hours. You can learn more about manifestation here. Note to self: Do Not Question the Universe Too Much. 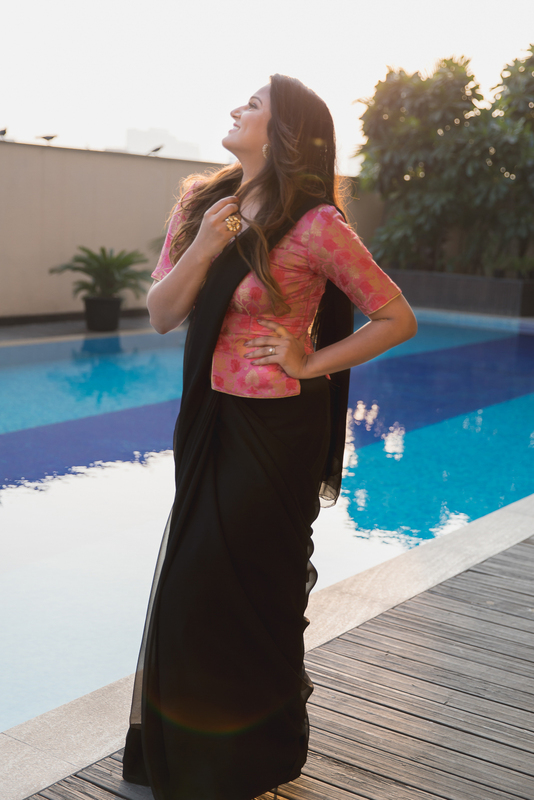 My finale outfit post had to be a saree and this entire look is from my label weddingbytes. 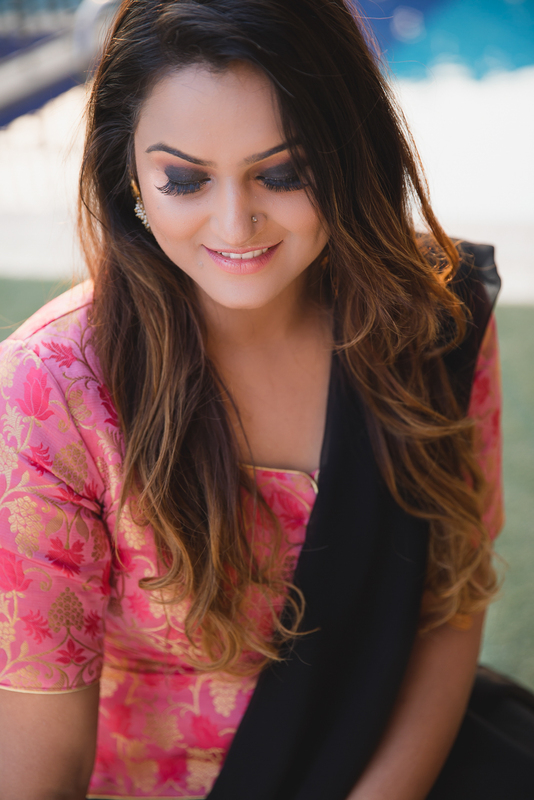 The hair and makeup have been done by my talented MUA, Shilpi. 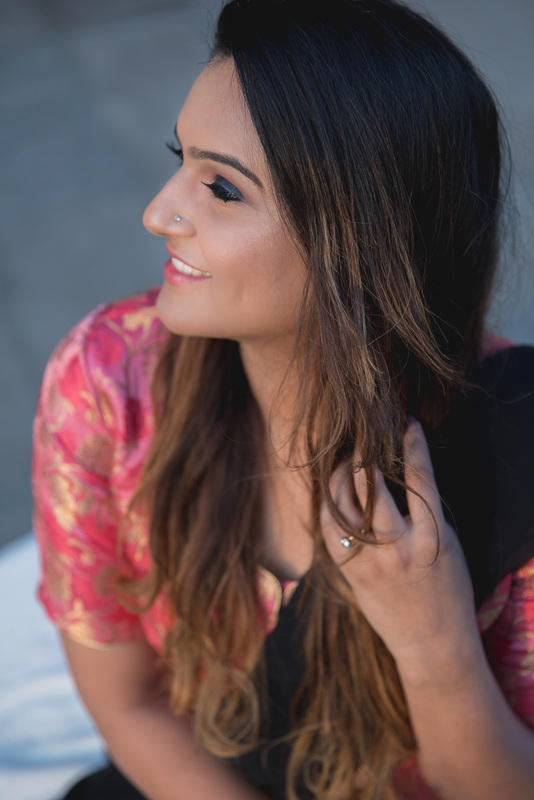 The stunning photos have been taken by Dulhan herself, Megha. 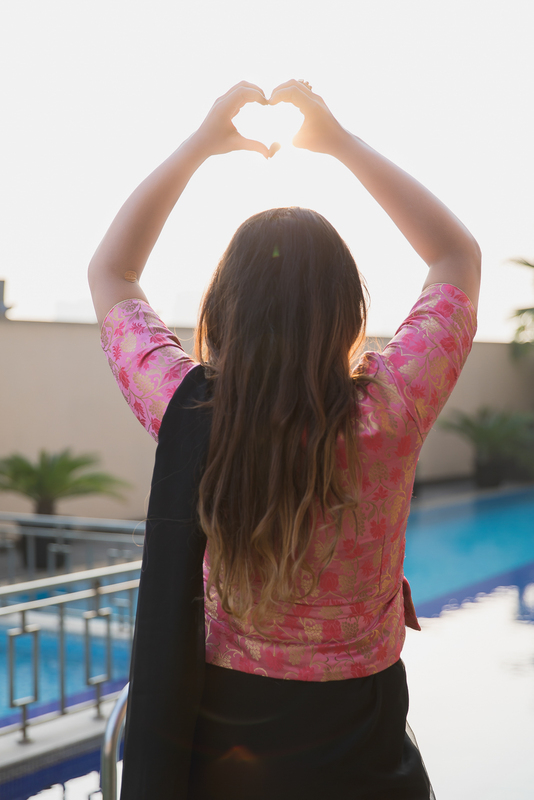 Also, a big shoutout to Doubletree by Hilton, Gurgaon for helping us with the most pleasing locations. 7 Things I Learnt In 2018 That I am Thankful For! 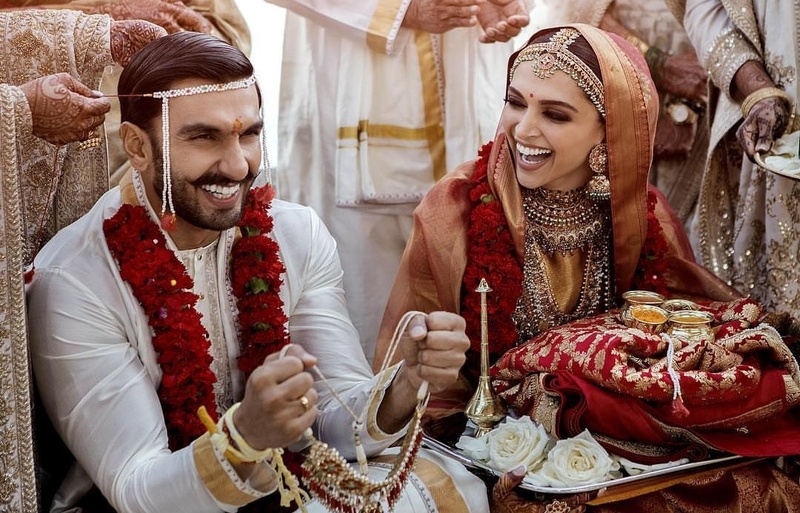 Ranveer and Deepika are now a married couple and they are super happy. The couple is all to host a reception tomorrow in Bangalore. Their wedding was a secret affair and cameras were not allowed. 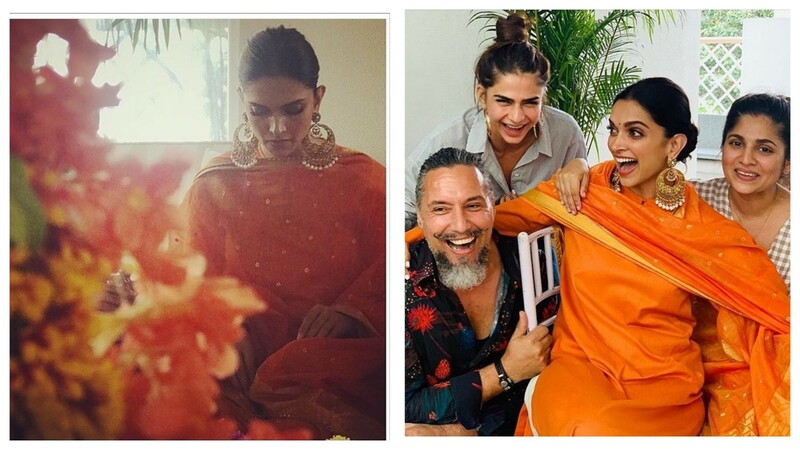 But today, Deepika and Ranveer took to Instagram and shares these gorgeous photos from their mehandi! 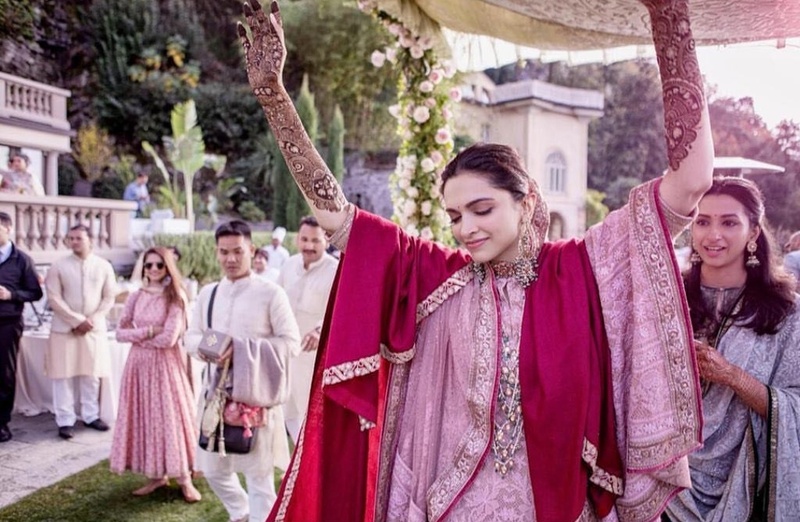 You Can't Miss These Beautiful Photos From Ranveer And Deepika's Wedding! 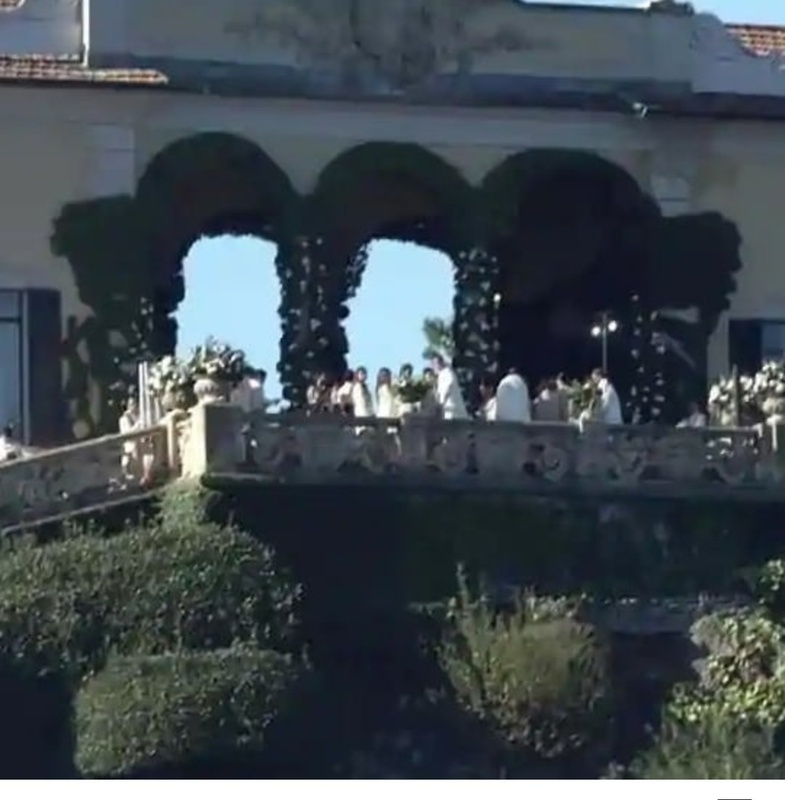 It's been a long wait but Deepika Padukone and Ranveer Singh have finally released pictures from their two-day wedding in Italy. 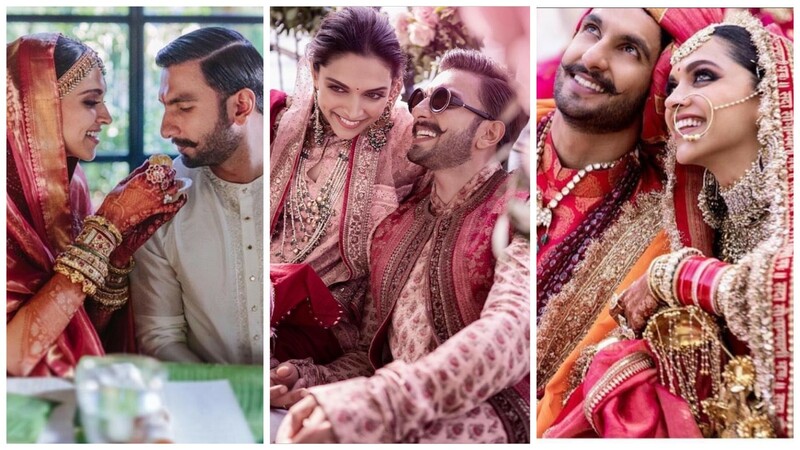 Two photos, one each from the couple's two ceremonies, were posted on Deepika and Ranveer's Instagram accounts. The couple tied the knot in Sindhi style today and yesterday they tied the knot in Konkani style. 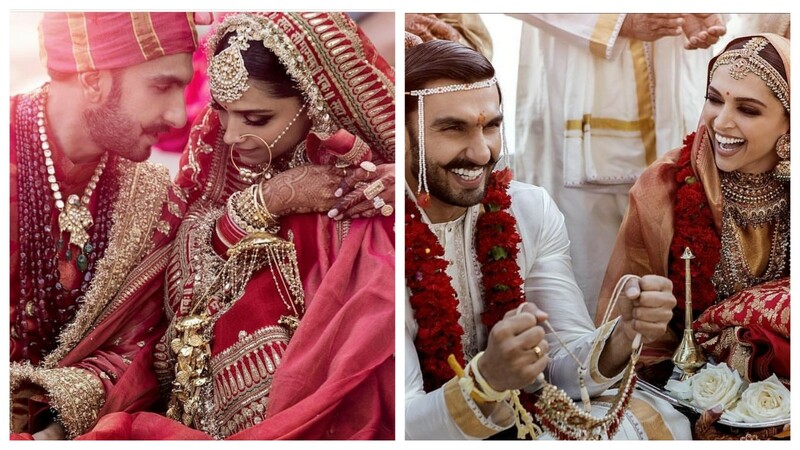 Congratulations Deepika and Ranveer! The couple wore Sabyasachi outfit for their wedding! Finally! 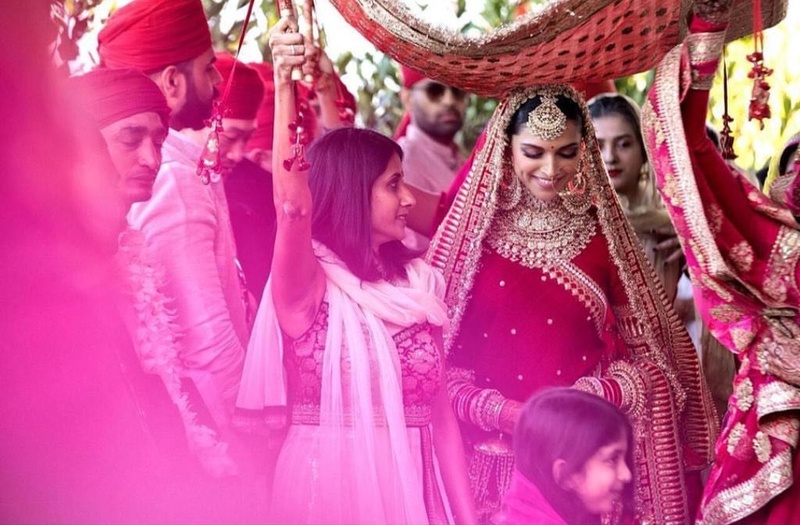 The Most Awaited Photos From Deepika And Ranveer's Wedding Are Here! Finally! 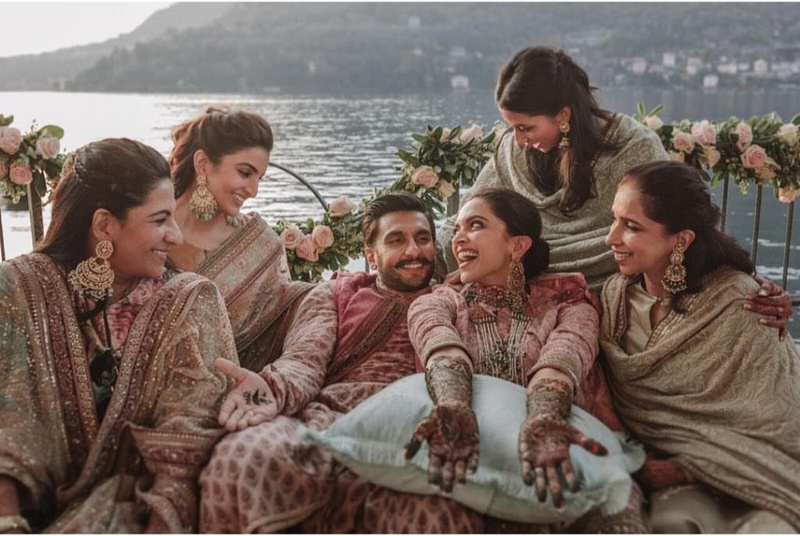 Deepika and Ranveer are married couple. They tied the knot today in a private ceremony .We got some leaked pictures from social media and they make a lovely pair! 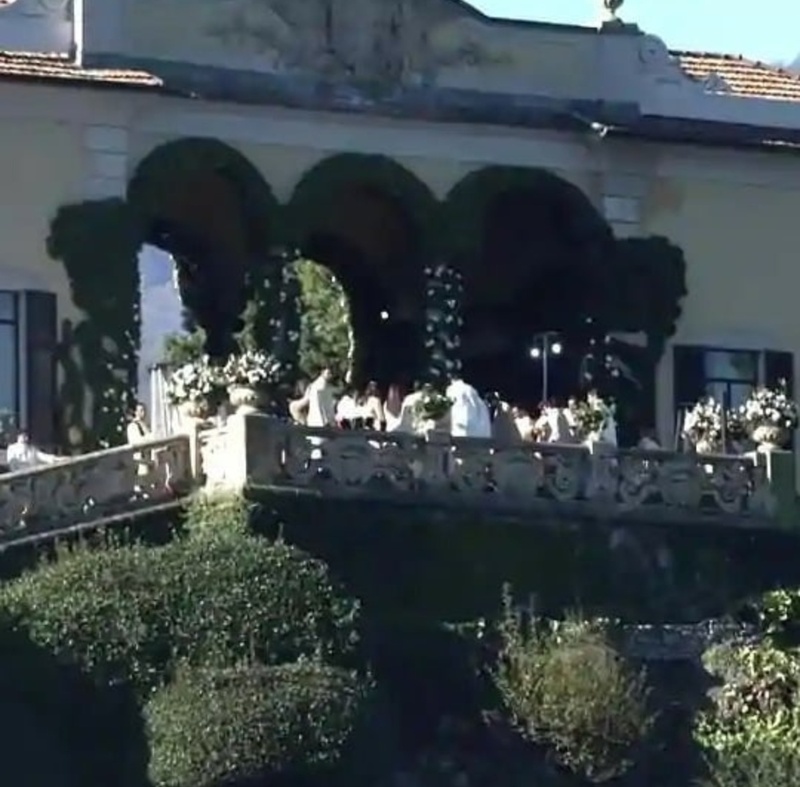 The couple was dressed in a white attire! 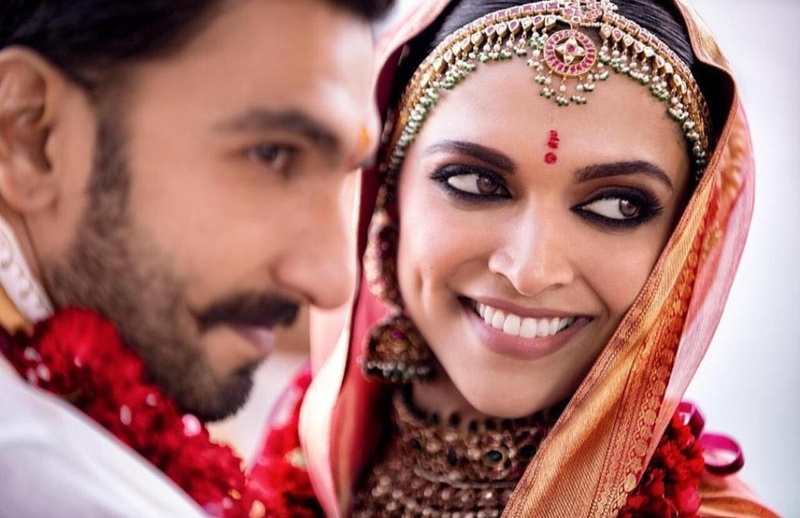 Check Out The First Pictures Of Deepika And Ranveer From Their Wedding Ceremony! 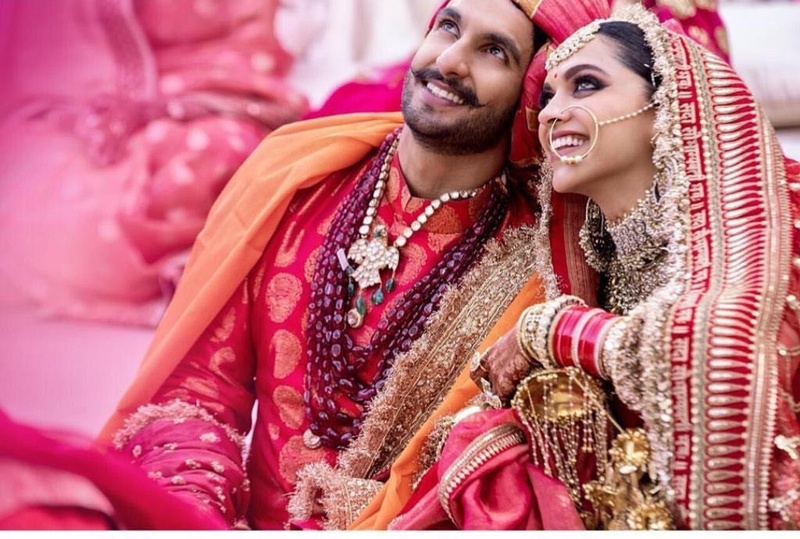 Deepika and Ranveer'swedding is the most hot topic of the town. 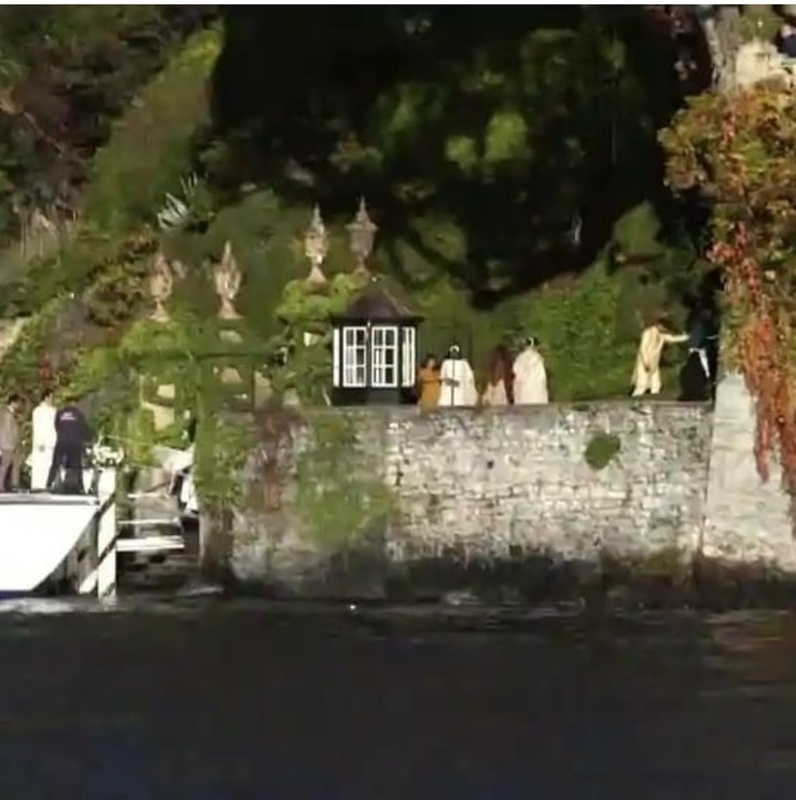 According to a report in Mumbai Mirror, the couple got formally engaged on Monday, with just 40 people in attendance, including close family and friends. 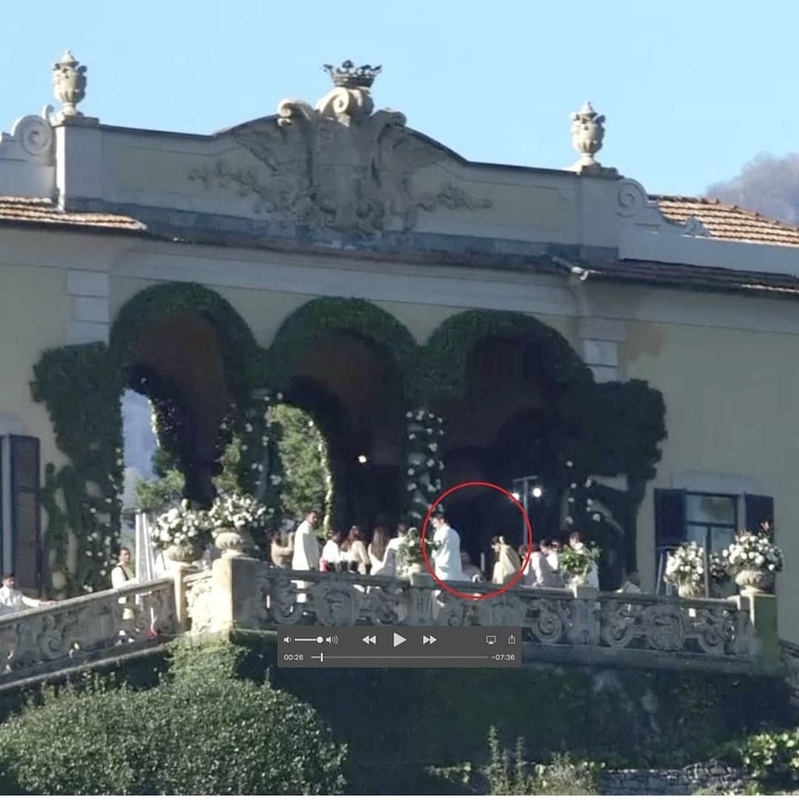 While Deepika reportedly wore a white dress, Ranveer wore a black suit for the occasion. On Tuesday, the report added, two more ceremonies were held mehendi in the morning and sangeet in the evening. 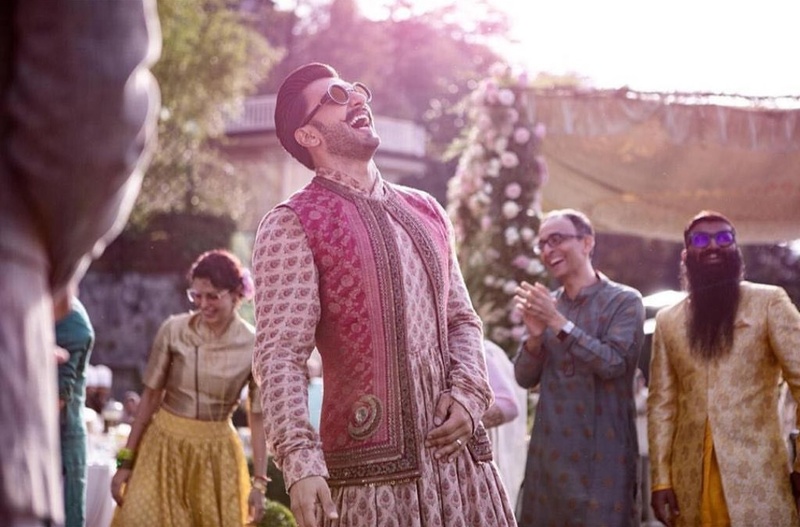 According to DNA report, Ranveer reportedly made a dramatic entry, dancing to his song, Tune Maari Entriyan (Gunday) while Harshdeep sang a number of sings such as Mehndi Ni Mehndi, Dholak, Kala Shah Kala, Mehendi Hai Rachney Wali. We can't wait for their wedding pictures! 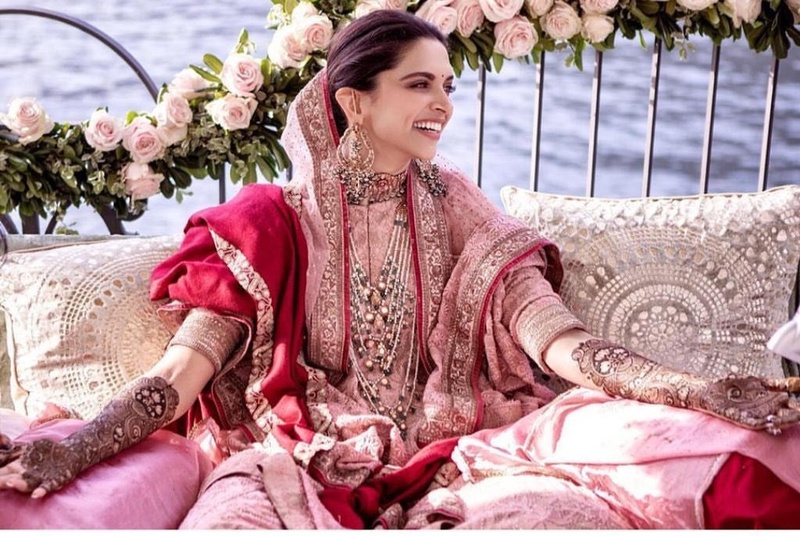 Here's All You Need To Know About Deepika and Ranveer's Engagement Last Night! 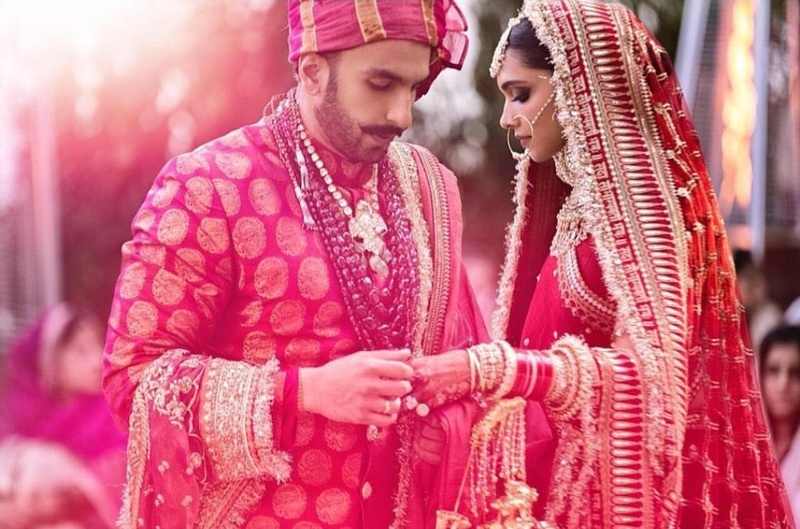 Deepika Padukone and Ranveer Singh are all set to get married in Italy on 14th and 15th November. 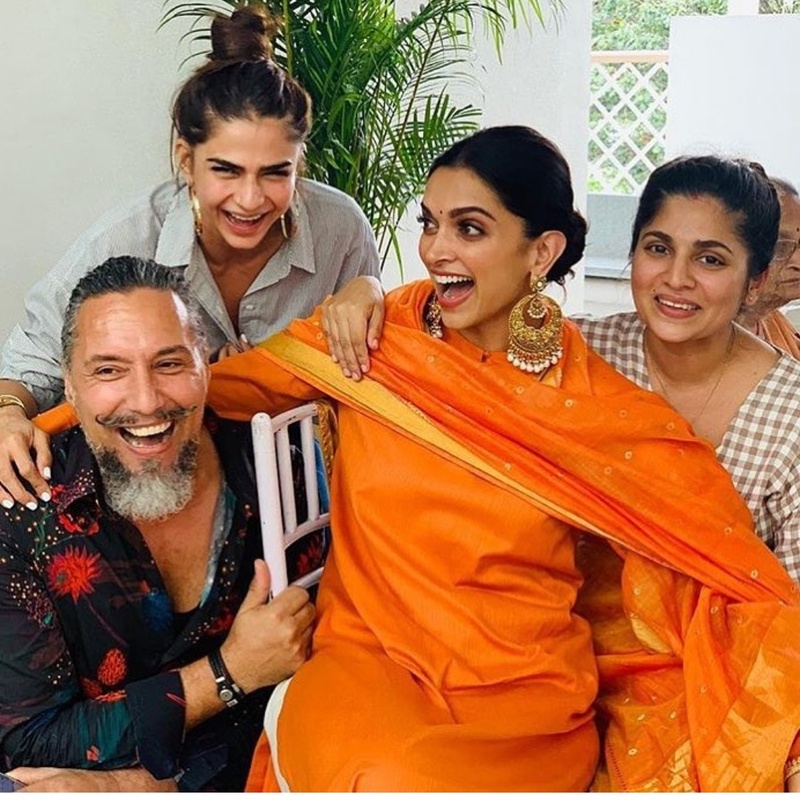 Deepika seems ready for new beginnings as can be seen in new pictures from a pre-wedding puja. 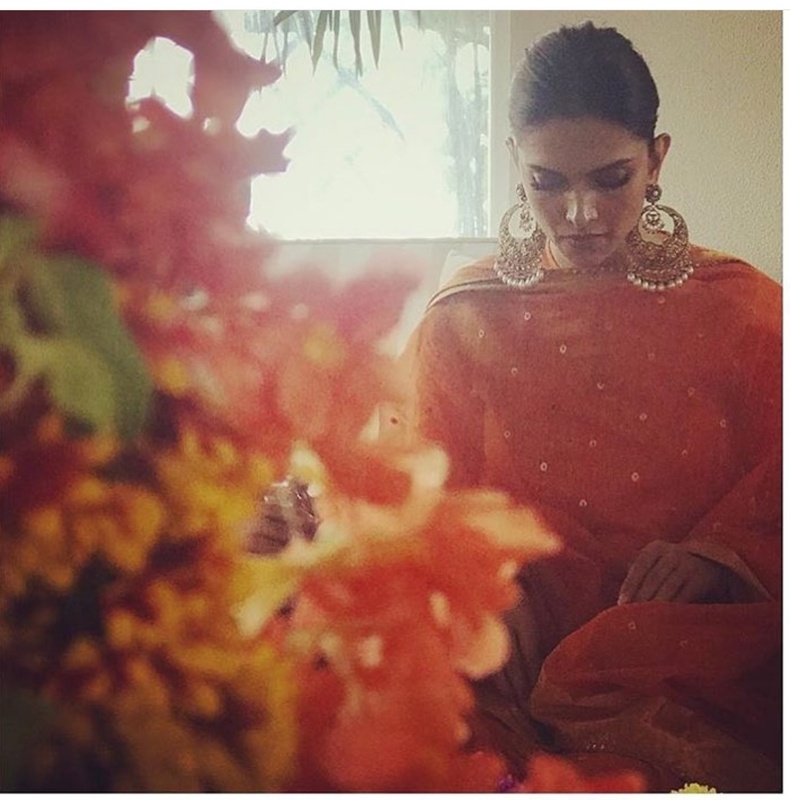 Deepika’s stylist Shaleena Nathani shared pictures of Deepika from the puja on Instagram on Friday. “Love you to the mooon and back. So so so so so sooooo happy for you. Cant wait for it all to starttttt. You deserve all the happiness in the world and more. @deepikapadukone." In another picture, she is seen sitting with her head bowed down during the puja. “To new beginnings,” Shaleena captioned the photo. We can't wait for their wedding! 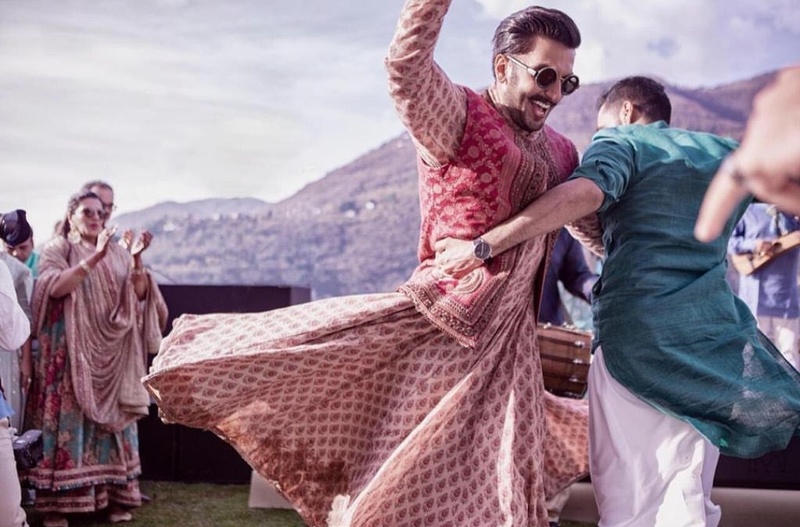 Photos: Deepika and Ranveer's Wedding Festivities Starts With A Puja!